Beijing-based Bitmain hasn’t clarified just how many of its employees will be impacted, though rumors — which Bitmain has since denied — on Maimai, a Chinese LinkedIn-like platform, suggest as many as 50 percent of the company’s headcount could be laid off. This news comes after the crypto mining giant confirmed it had shuttered its Israeli development center, Bitmaintech Israel, laying off 23 employees in the process. Bitmain employs at least 2,000 people, up from 250 in 2016, according to PitchBook, as the company’s growth has skyrocketed. The decreasing value of Bitcoin. “The crypto market has undergone a shake-up in the past few months, which has forced Bitmain to examine its various activities around the globe and to refocus its business in accordance with the current situation,” Bitmaintech Israel head Gadi Glikberg reportedly told his employees at the time of the layoffs. Bitmain has raised more than $800 million in venture capital funding from Sequoia, Coatue Management, SoftBank and more. At a valuation of $12 billion, it quickly soared to become the most valuable crypto startup in the world, surpassing Coinbase, which itself garnered an $8 billion valuation this fall. In its IPO filing, Bitmain reported more than $2.5 billion in revenue last year, up nearly 10x on the $278 million it claimed for 2016. As for the first half of 2018, Bitmain said it surpassed $2.8 billion in revenue. These are astonishing numbers, yes, but whether Bitmain can sustain this kind of momentum has been called into question, especially as it gears up to go public in what would be the largest crypto-related IPO to date. The crypto market, by nature, is unpredictable — a characteristic that’s less than favorable to public market investors. Meanwhile, Huobi Group, a crypto trading platform also headquartered in Beijing, is laying off a portion of its 1,000 employees, too, according to a report from the South China Morning Post. Huobi, which is backed by Sequoia and ZhenFund, didn’t immediately respond to a request for comment. Moreover, Brooklyn-based ConsenSys earlier this month confirmed it was laying off 13 percent of its 1,200-person staff. The company, active in the crypto ecosystem, incubates and invests in decentralized applications built on the Ethereum blockchain. “Excited as we are about ConsenSys 2.0, our first step in this direction has been a difficult one: we are streamlining several parts of the business including ConsenSys Solutions, spokes, and hub services, leading to a 13% reduction of mesh members,” ConsenSys founder and crypto billionaire Joseph Lubin wrote in a letter to employees regarding the layoffs. Finally, Steemit, a distributed app designed to reward content creators, laid off 70 percent of its staff just days earlier, citing poor market conditions. 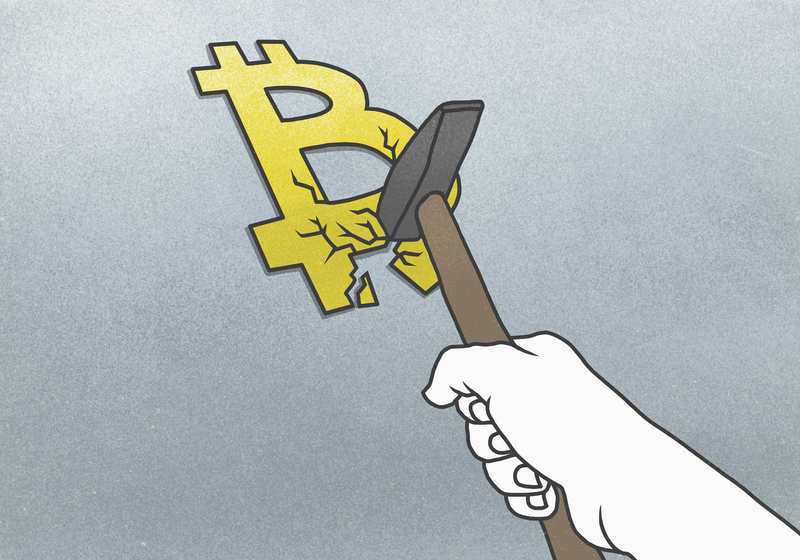 Downsizing following periods of rapid growth — which many crypto startups experienced during the Bitcoin boom — is only natural, but can these businesses continue to endure periods of extreme volatility without crashing completely? 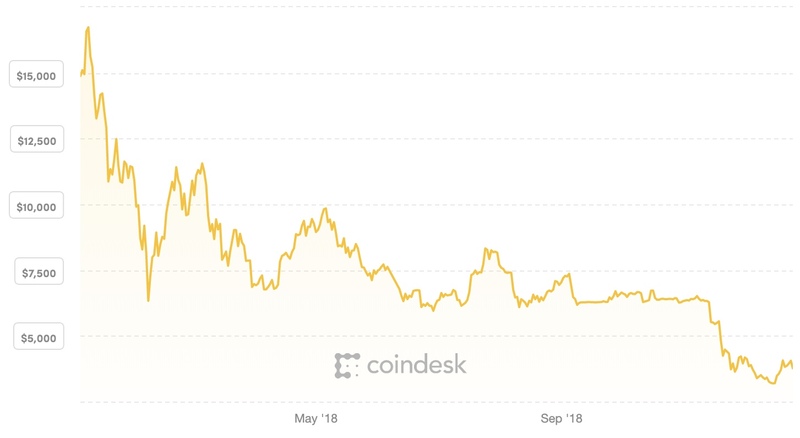 One thing is certain: If the price of Bitcoin sinks further and further, “staff adjustments” at crypto startups large and small will be unavoidable.